There are things that distinguish champions from others. Most of the people think it’s their talent but I will argue that it’s their mindset. If you’re natural, you believe that you shouldn’t have deficiencies, so you can’t face them and coach them. People with this mindset see abilities as fixed features. In this view, talents are referred to as gifts, you either have them or you don’t. The fixed mindset, in which you have only a certain amount of a valued talent, leads people to want to look good at all times. People in fixed mindset try to highlight their proficiencies and hide their deficiencies. Infact, it is obvious that they will often reject valuable learning opportunities if these opportunities hold the risk of unmasking their weaknesses. Even in schools, students who held a fixed mindset about intelligence paid attention only to whether their answer was right. Once they knew this, they had little further interest in learning what the right answer was. Thus, their interest is being rightly took under strong precedence over their interest in learning and this significantly hurt their subsequent performance. In this case, people believe that their abilities can be cultivated. In other words, they view talents as potentialities that can be developed through practice. People with this mindset don’t deny that some people may be better or faster than others at acquiring certain skills, but what they focus on is the idea that everyone can get better over time. 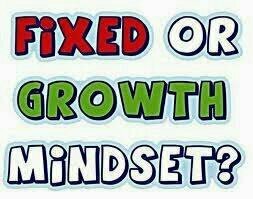 A person with a growth mindset will accept any valuable learning opportunities because it leads them to put a premium on learning. Student who held growth mindset about intelligence paid close attention to the both kinds of information. They paid attention to whether their answer was right or wrong and they paid attention to what the right answer was. As a result, they did substantially better than students with the fixed mindset on a later test. People in the growth mindset understand that effort is the way that ability is brought to life and allowed to reach fruition. Far from indicating a lack of talent, they believe that even geniuses need great effort to fulfill their promise. People with this mindset not only believe in the power of effort, they hold effort as a value. As we have seen people in the fixed mindset feel measured by setback and mistakes. They also feel measured by the very fast of exerting effort. However, in this mindset, it’s a sign that you are lacking talent or ability.